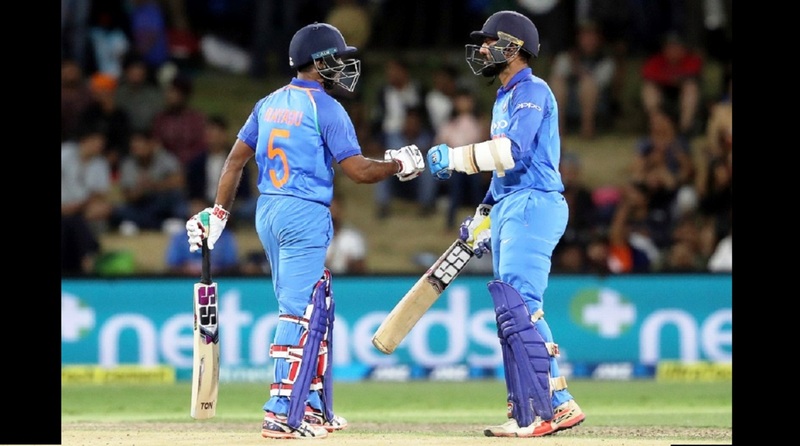 The pair of Ambati Rayudu (40 not out) and Dinesh Karthik (38 not out) showed no nerves and went about the business in their customary fashion. Chasing a below-par 243, India lost opener Shikhar Dhawan after a breezy 28 off 27 balls, but fellow opener Rohit Sharma struck his 39th ODI fifty to lay the foundation in the company of the skipper Virat Kohli, who also got to his 49th ODI half-century. Rohit appeared the more aggressive in the second wicket stand, stamping his authority over the Kiwi bowlers and smashing them all over the park before racing to his half-century and taking India’s total to the three figures.